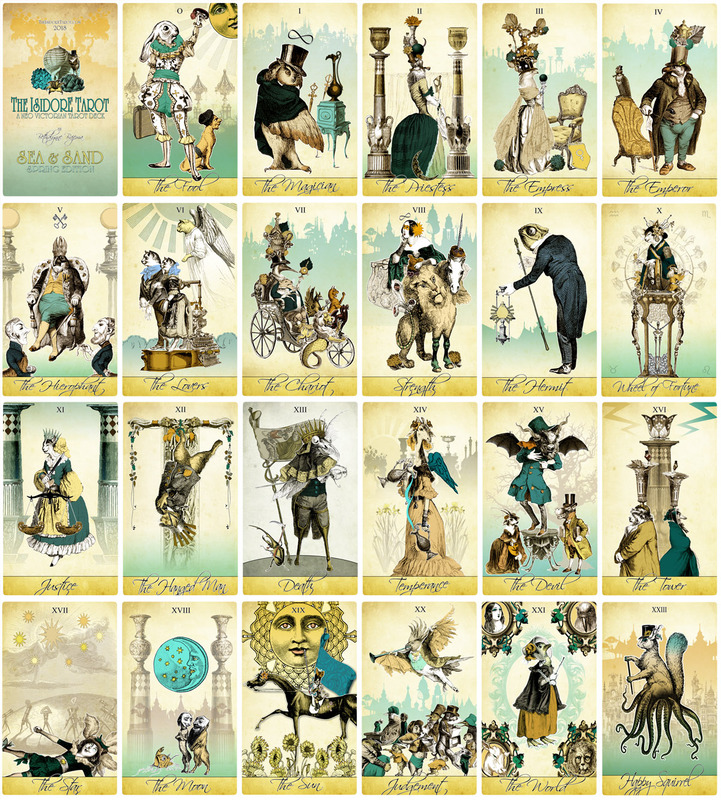 ABOUT THIS DECK: My alternative version of the Isidore Tarot for spring is the Sea and Sand Edition. My favorite color palate is crimson and soft gold, only challenged by my love of watery blues and sand colors. So for this edition I went through and put a fresh tint on the major arcana and increased the blues and golds throughout the minor arcana. These decks are not limited edition, though only offered for a limited time. Available again spring 2019.